White Russian is a medical variety of cannabis created by diligent efforts of Neuro Seeds professional neuroscientists and geneticists. White Russian produces incredibly beautiful plants with the same incredible effects. This is a plant of medium height covered by resinous inflorescences. 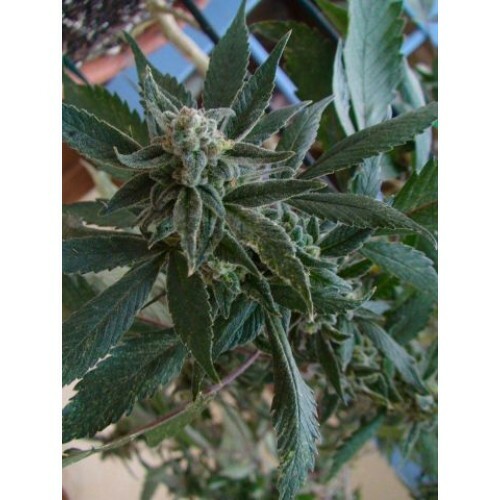 The high content of THC gives powerful psychoactive effects and high production of dense inflorescences. Excellent genetics makes this variety one of the best in the world. Stable genetics allows growing this variety without great efforts. Fruity fragrance of White Russian is slowly changing to a pleasant aroma of cheese. When using this variety, you can feel earthy, spicy and delicate cheese flavor. Psychoactive effects of this variety are shifted toward the cerebral side. Thanks to this, you feel a surge of energy, euphoria, happiness and relaxation. Patients who use medical marijuana, thanks to Neuro Seeds neuroscientists efforts, will find this variety to be a great tool to eliminate depression, fatigue, insomnia, pain, stress, anxiety, PTSD, attention deficit hyperactivity disorder, migraines and bipolar disorder.